We offer CATTOR as a Cloud Service as well. We run the server with the database and additional services in the cloud. 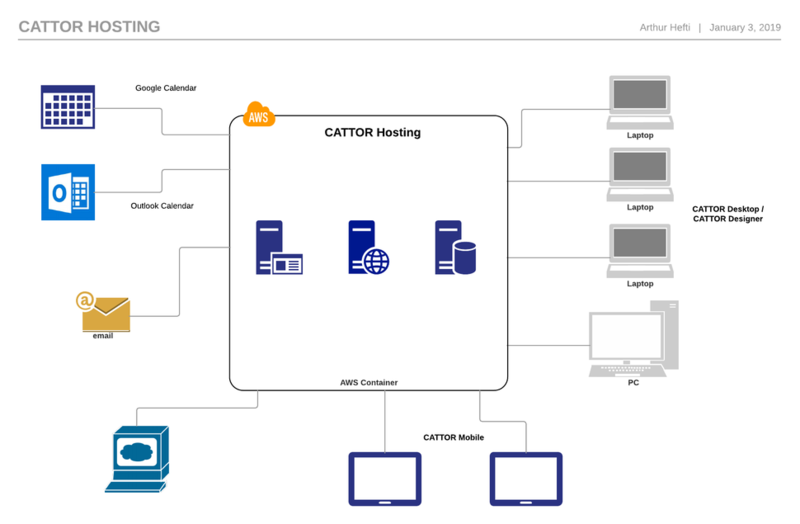 From the Cloud data is synchronized to the locally installed CATTOR Desktop and CATTOR Mobile. The Cloud connects to the Google or Outlook Calendar and other services.